DPS is charged by state law (ARS28-5204) with enforcing rules and regulations governing the safety operations of motor carriers, shippers and vehicles transporting hazardous materials. 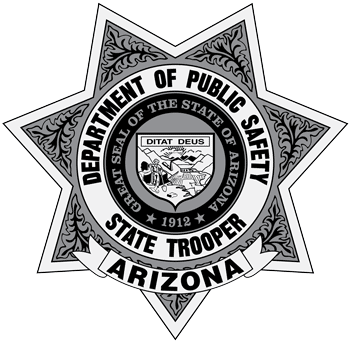 DPS is also designated as the Motor Carrier Safety Assistance Program (MCSAP) Lead Agency. DPS Commercial Vehicle Enforcement (CVE) districts are located throughout the state and the troopers assigned to those districts promote highway safety through auditing, education, inspection and enforcement operations as required by state law, the Federal Motor Carrier Safety Regulations and the Federal Hazardous Material Regulations. In partnership with the Federal Motor Carrier Safety Administration (FMCSA) and the Commercial Vehicle Safety Alliance (CVSA), every CVE trooper receives extensive training and subsequent certification prior to conducting commercial vehicle enforcement operations. Federal partnership ensures that the regulations are uniformly enforced throughout the United States. International Roadcheck is an annual three-day event when CVSA-certified inspectors across North America conduct compliance, enforcement and educational initiatives targeted at various elements of motor carrier, vehicle and driver safety. Roadcheck also provides an opportunity to educate industry and the motoring public about the importance of safe CMV operations and the roadside inspection program. Click here to read about current International Roadcheck. National Passenger Safety Initiative is a federal, state and local partnership dedicated to keeping motorcoach and bus passengers – and all travelers on the nation’s highways and roads – safe. As part of this initiative, CVE troopers conduct special enforcement details focused on passenger carrying CMVs and comprehensive investigations of non-compliant motor carriers, as well as industry outreach activities to help bolster carrier safety programs. Operation Southern Shield is an annual week-long saturation detail focused on safe CMV operation and maintenance. Increased CVE trooper staffing is strategically deployed in high-traffic corridors to interdict and address unsafe commercial motor vehicle and driver violations. Additionally, multiple public outreach events are staffed to promote safe driving. Operation Safe Driver is a CVSA program aimed at reducing deaths and injuries involving large trucks, buses and cars due to unsafe driver behaviors. Operation Safe Driver holds activities across the United States, Canada and Mexico to increase CMV and non-CMV traffic enforcement, safety belt enforcement, and driver roadside inspections; improve driver regulatory compliance; implement CMV driver education and awareness programs to the motor carrier population; educate youth about safely sharing the roads with large trucks and buses; and increase awareness to the general motoring public about safe operations around commercial motor vehicles. In addition, there is an annual one-week enforcement and educational blitz held every October to spotlight and address unsafe driving behaviors by both CMV drivers and car drivers. Operation Airbrake is a comprehensive program dedicated to improving commercial vehicle brake safety throughout North America. The goal is to reduce the number of highway crashes caused by faulty braking systems on commercial motor vehicles by conducting roadside inspections and educating drivers, mechanics, owner-operators and others on the importance of proper brake inspection, maintenance and operation. Out-of-adjustment brakes and brake-system violations combine to represent half of all out-of-service violations issued for CMVs on the road. Brake systems that are improperly installed or poorly maintained can drastically reduce the braking capacity and increase stopping distance of trucks or buses - a serious safety risk. Share the Road is a community outreach initiative with the goal of improving safe driving by CMV and non-CMV drivers alike. As a part of this initiative, the Teens & Trucks curriculum is delivered to high school students and focuses on safe driving behavior, particularly around commercial vehicles. In 2016, CVE troopers conducted nearly 20 Share the Road events and brought the Teens & Trucks presentations to over 4,600 students. Driver Awareness Regulation Training (DART) was developed in 2013 to provides current information regarding Federal and State rules and regulations that CMV drivers need to be aware of while driving, or loading, their truck. The DART program is run in conjunction with many of the CVE operations held during the year and places CVE troopers in kiosks at truck stops and rest areas where they can answer questions and provide in-formal direction to CMV drivers about staying safe and regulatory compliant. The Department has set a May 1, 2008 implementation date for the changes to the inspection process. On and after that date, tow companies will no longer be required to have their current trucks annually inspected by the Department of Public Safety (DPS). Only new trucks added to a fleet or new companies with trucks will need to be inspected by DPS. Tow companies will be required to be in compliance with the tow truck regulations at all times in anticipation of unannounced inspections. The requirement for tow trucks to possess and maintain the inspection decal and report with the vehicle at all times still remains. Any company requiring an inspection for a new truck or a re-inspection after a truck is place out of service, will need to contact DPS to schedule the inspection appointment. If you have questions, please call Commercial Vehicle Enforcement at 602-223-2522. In conjunction with the Arizona Department of Transportation (ADOT), the Division has amended R17-5-203, effective July 10, 2007, to require CMVs identified under R17-5-203(B)(3) to obtain a United States Department of Transportation (USDOT) number from the Federal Motor Carrier Safety Administration registry for intrastate travel within Arizona. This amendment is made in an effort to facilitate the tracking and identification of those CMVs with a poor safety rating. Additional amendments were made to R17-5-203(D) and (E), Marking of CMVs. The new regulations requiring the USDOT# for intrastate travel by a CMV, and Markings of CMVs are administered and enforced through DPS. Click on Registration and Updates. This will take you to the Federal Motor Carrier Safety Administration (FMCSA) web site. Click the Step-By-Step instruction link and follow the instructions. Please read each page carefully. You will be required to fill out an MCS150 form online which follows the initial questions. You will also be required to provide a credit card number. Nothing will be charged to your card. This is strictly for validation purposes. Complete the form and follow the instructions and you will be given your company’s USDOT number at the end of the process.